North Korea and South Korea met for working-level talks on Monday (Jan 15) at the Tongil Pavilion on the North's side of the truce village of Panmunjom, news agency Yonhap reported. 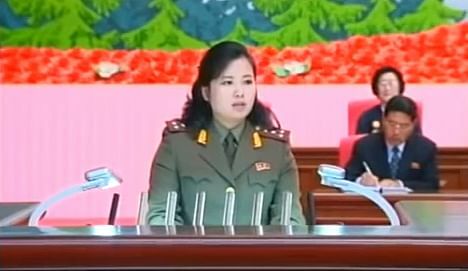 Among the four North Korean delegates who attended the talks was Hyon Song Wol from the popular North Korean band Moranbong. She was pictured dressed in a blue suit, along with North Korea's chief delegate Kwon Hyok Bong and his South Korean counterpart Lee Woo Sung, in a meeting room in Panmunjom on Monday. Who is Hyon Song Wol and why is a band member among such high-profile delegates? Here are four things about her. Hyon leads an all-female music group called Moranbong. The group, which plays across pop, rock and fusion genres, reportedly was hand-picked by North Korea's leader Kim Jong Un himself. The 10-member band, established in 2012, is known for its Western-style, synthesizer-driven music and sophisticated fashion style rare in the isolated nation, although most of their songs laud the regime. Their numbers include the jaunty Mother's Birthday, about the ruling Workers' Party of Korea, and the more soulful We Call Him Father, an ode to Kim. The band once cancelled a planned performance in Beijing in 2015 and returned home after Chinese officials took issue with propaganda images on the stage featuring Pyongyang's long-range missiles. After Moranbong abruptly cancelled their Beijing tour in December 2015, a North Korea expert told The Guardian that it may be linked to Kim taking offence at reports by South Korean media about a rumoured past relationship between him and a member of the band, believed to be Hyon. She reportedly was with Kim in the early 2000s. Yonhap reported that the stories about Hyon undermined the "dignity" of the North Korean leader. Reports also said that Chinese netizens dubbed the band Kim's "imperial harem". In 2013, rumours swirled that Hyon had been executed by firing squad on Kim's command, along with other performers. The reports said she was "executed" because she had made pornographic videos. South Korean newspaper The Chosun Ilbo said she was executed with machine guns while members from various bands including those from her own looked on. Pyongyang later denied the claims and she was spotted alive subsequently. Hyon, who is believed to be in her 40s, is not only a pop-culture icon in South Korea, but also wields political powers. Last year, she was appointed to the powerful Workers' Party of Korea's Central Committee. She also holds the rank of colonel in the Korean People's Army of the North. 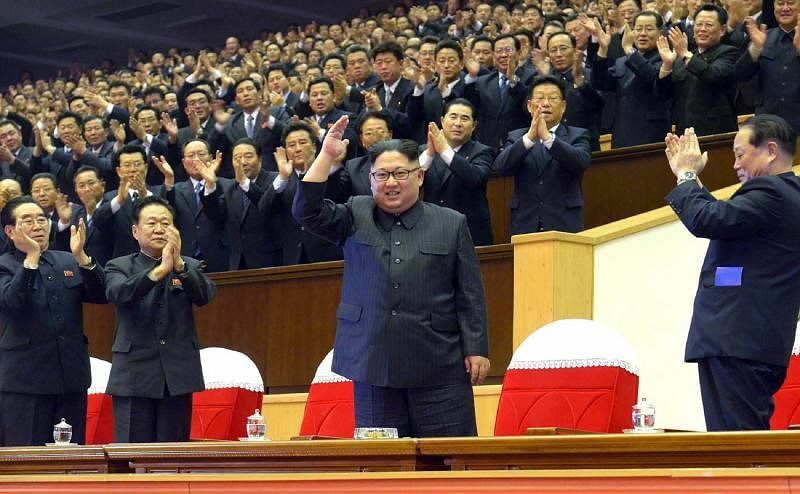 Pyongyang has also used the band as a diplomatic tool, seeking to improve ties with neighbouring countries by flying Moranbong to perform there.